The eyes and the oral cavity communicate directly via the maxilla or upper jaw of the facial skeleton. 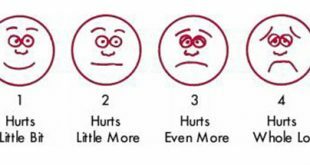 Hence, problems with the oral cavity may cause signs and symptoms of the eyes. Many pathological conditions of the mouth can cause periorbital swellings. Bacterial infection is the commonest cause for periorbital infections, spread of infection from surrounding sites can also cause it. Periorbital swellings can be caused by odontogenic or non odontogenic factors. Root apices of upper teeth, especially molars are separated from the maxillary sinus by a thin layer of mucosa and bone. 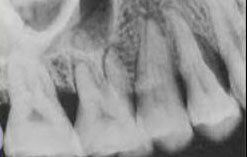 Therefore, dental infections can easily spread to the maxillary sinus via the root canals of maxillary teeth. If the sinus floor fractures during a dental extraction, there are chances of infection spreading from the dental tissues(i.e. teeth or gingiva) to the maxillary sinus. Odontogenic infection which spreads to the sinus if not treated or controlled will eventually spread to the surrounding soft tissue spaces of the cheek and the eye causing a swelling. 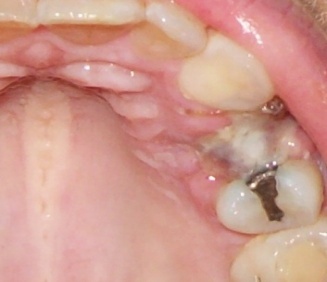 Conditions such as odontogenic cysts (Figure B) or other oral pathological conditions if infected, may cause periorbital swellings. Non-odontogenic source is when a periorbital swelling is caused due to soft tissue or facial skeletal problems unrelated to dental tissues. 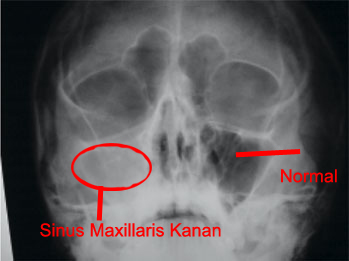 A large portion of the orbit is bordered by the maxillary sinus, ethmoidal sinus and frontal sinus(Figure D). 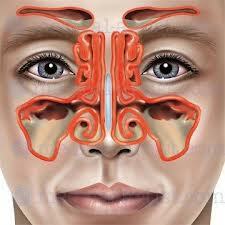 Therefore periorbital swellings can be caused by infection or pathology of the sinuses. 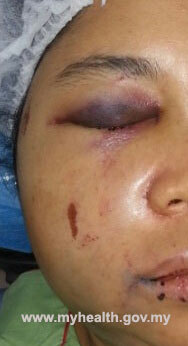 Bleeding often occurs with accidental injury from trauma to the facial region. Soft tissue injuries cause swelling of the musculature and collection of blood clots within the injured area. 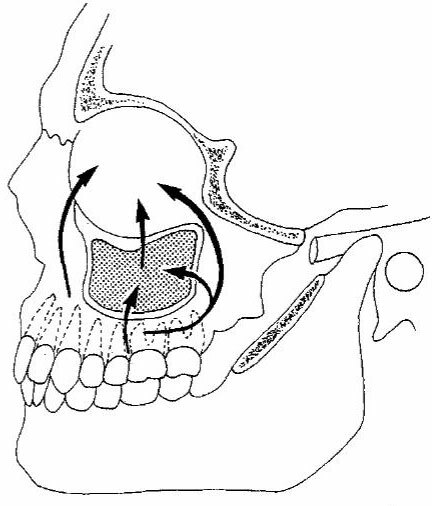 Injuries which cause zygomatic, maxillary or orbital fractures will usually cause periorbital swelling (Figure C).The swelling will subside after a few days unless the site of injury gets infected, in which case the swelling will increase in size and area. 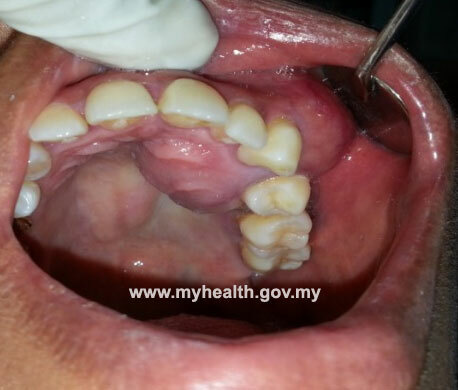 Toothache from upper jaw prior to periorbital swelling. Swelling surrounding the teeth in the upper jaw. Swelling on the cheek up to the tissues surrounding the eyes. Pain around the eye and cheek aggravated on bowing the head down. Radiological investigations are necessary in determination of a source of infection. Radiological images also give invaluable information required for treatment planning to overcome such infections. Intraoral imaging (Image D) is sufficient to identify an odontogenic source of infection whereas extraoral imaging (Image E) is required to identify infections related to the sinus, jaws and facial bones. Antibiotic therapy aids in controlling the infection from spreading but primary protocol is to treat the infection by eradicating the source of infection. If the source of infection is not treated, there will be a recurrence of infection. Extraction or root canal treatment have to be carried out on teeth that are identified as the source of infection. Drainage of abscesses or accumulations of pus within tissues have to be carried out via intraoral mucosal incision or extraoral skin incision. Patients with chronic diseases such as diabetes mellitus or a compromised immune system are more susceptible to a spread of infection and complications related to it. 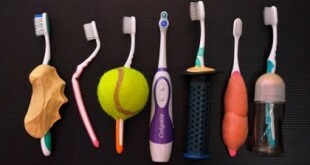 In conclusion, oral health maintenance is important. Regular checkups and early intervention at dental healthcare centres can reduce likeliness of serious complications from occurring.